Rave Den of Geeks Jones turns ideas and metaphors into living, breathing characters. 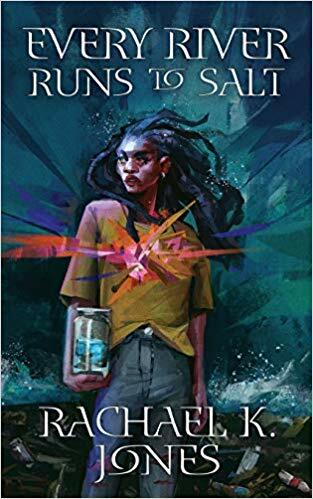 She designs an underbelly to a university town that’s both underworld and a chance for redemption, maybe in the same breath ... For the sheer beauty of the prose, and for the reinvention of American mythology, Every River Runs To Salt is well worth the read. Positive Den of Geeks Magic Triumphs begins with a short prologue chapter showing Kate giving birth to the son previously revealed to her in visions. 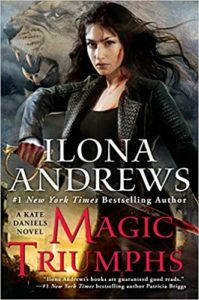 And, as happens if you’re the daughter of the greatest power in the world since magic reawakened, Kate’s father tries to steal the baby when Kate’s at her weakest. But, as also happens when you’re the daughter of the greatest power in the world, Kate’s no slouch and, even post-labor, she’s not willing to give in ... While some of the plot is straight forward, the relationships among the various characters, some of whom have taken nine previous novels (plus multiple short stories and novellas) to get to know, depend on having background. If you take the plot out of the context of these relationships, the book won\'t be remarkable. It’s the relationships that make this series so worthwhile. Positive Den of Geek! Dresden Files fans, this is the book you\'ve been waiting for ... Brief Cases, a collection of several of Butcher\'s excellent short stories and novellas from within the universe of Harry Dresden, offers not only excellent short narratives that dabble between the scenes of the novels, it provides a new story ... the collection isn\'t just for Dresden fans—readers who only know a little about the setting are quickly brought up to speed and can enjoy ... Dresden Files fans are sure to get joy out of having these previously anthologized pieces together all in one cover ... Newcomers to the series will find plenty to keep them engaged with the world ... worth picking up.